A range of reasons can lead to aches and twinges in older adults. Dr Christian Allard, back care specialist at ProBack reveals the most common issues. 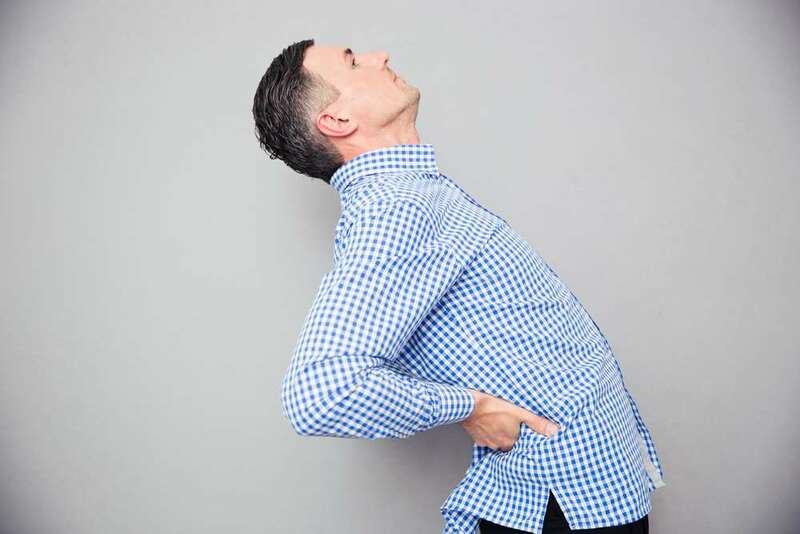 While many people resort to over-the-counter painkillers, Dr Allard says it’s important to understand the causes of back pain rather than just treat the symptoms. “What triggers your back pain often depends upon your age, and as people get older, the pain tends to become more severe. A young person usually has pain caused by a joint or they’ll have pulled a muscle. While an older person in their mid-50s or early 60s will be more likely to have a disc that’s degenerated. And eventually, later in life, because the spine has no more suspension, it becomes a ‘boney’ pain. Like a toothache you feel inside your spine,” says Dr Allard. Here are some of the common issues that may be causing your back problems, according to Dr Allard. Most people can recall an episode in their life where they hurt themselves, such as askiing or football injury when they were younger. After an episode some people get discs tears, which could remain dormant for a few years or even decades, but by the time they start feeling pain, a large amount of damage has already taken place. The outer third of the discs is the only part where you’ll feel pain – it’s possible to have cracks in the inner part of the disc and not feel it. So, pain is not necessarily a good indicator that a problem exists. In the inner part each of the discs in our spine there’s liquid made up of water and a substance called proteogly can, which is the food for the cartilage. Little cells in the end plates secrete the liquid but they’ll only be activated if there’s movement between the vertebrae. So therefore, if someone is sitting down on a chair for eight hours a day, the body will not feel the need to secrete the liquid into the discs, and therefore the discs will starve themselves. The body will adapt to make the cartilage weaker, because it doesn’t need to be strong due to the body not moving often. The problem comes in when a person moves more on the weekend and does something active, like gardening. If their discs have become weaker, this puts them at risk of injury. Therefore, it’s very important to move often. When somebody sits, they need to have a good lumbar curve (an inward curve in the lower back). If a person sits at a desk or on a sofa and slouches, this curve can disappear, resulting in their spine becoming straighter and absorbing less shock when they get up and move about. I always tell people to sit at the back of the chair, and make sure you’ve got a good lumbar support in the chair, so you can stick your bum out a bit. Few people know about the psoas muscle, which connects to the spine. If you sit for a long period of time, the psoas muscle shortens and when you get up, your vertebrae pull forward. It often happens when people sit in a car for a long time – you might feel slightly bent forward when you get out, and the first couple of steps you take are shorter. The psoas crosses the joint of the hip, so if it’s too tight for a long time, it will make the hips wear too fast. Stretch the psoas with a hip flexor – spread your legs and stretch your hips by pulling the knee forward and then down. A mattress has to be firm enough but not too firm. If a mattress is super hard you might end up with shoulder problems if you sleep on your side, or lower back problems if you sleep on your back. You need something that takes the shape of your body but doesn’t let you sink in. I’m a big fan of anything that’s made with natural materials – like latex mattresses.